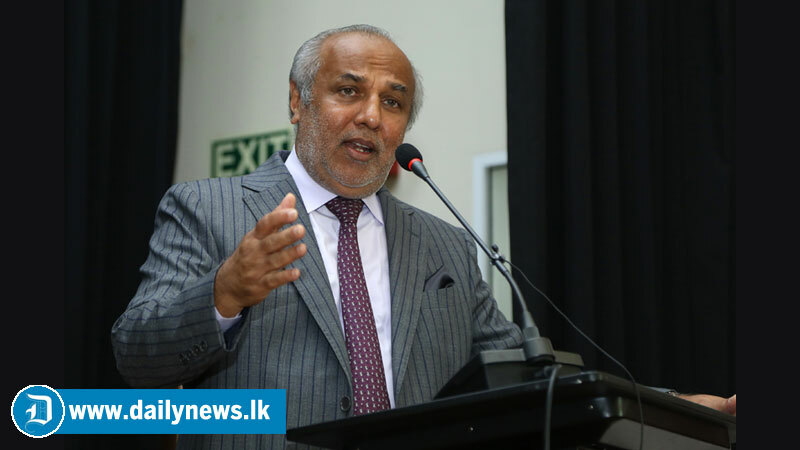 Year 2019 will be the year of quality assurance in higher education in this country, City Planning, Water Supply and Higher Education Minister Rauff Hakeem said. He was speaking during the assumption of duties for the new year at a meeting held on Tuesday at the University Grants Commission’s auditorium. “We may not be able to make a revolution in the higher education sector in this country during this limited period of time, but we can make a remarkable change in this journey as we focus our attention on a number of objectives,” Minister Hakeem said. The priority is quality assurance in higher education. There are many educational institutes including state universities and post-graduate and affiliated institutes. However, private higher education institutes function on their own way. Some have obtained the approval from the University Grants Commission (UGC). But the majority of the institutes function without obtaining proper approval, he said. “To resolve this issue, the standard of this sector should be ensured by appointing an independent commission. The standard of this vital sector should be ensured at any cost. We will present a Cabinet Paper soon to appoint such a commission, followed by a thorough study,” the Minister said. “I appreciate the efforts made by the former State Minister of Higher Education Mohan Lal Grero and UGC Chairman Prof. Mohan de Silva and the Deputy Chairman in this regard. With these developments, we will be able to standardise the higher education sector in this country. Hence we can name year 2019 as the year of quality assurance in higher education,” he said. Large amounts have been allocated for the improvement of higher education during past years. Rs. 60 billion has been spent so far. This figure clearly shows a number of issues have been resolved, Minister Hakeem said. “Protests and agitations by students are a common occurrence in the higher education sector. They often present their issues to us in this way. However, we wish to hear their grievances through proper discussion. Patience is vital in this process. While finding solutions to students’ issues, we will remain strict as far as discipline is concerned,” the Minister said. Secretary to the Ministry M. M. P. K. Mayadunne, UGC Chairman Prof. Mohan de Silva, and Deputy Chairman P. S. M. Gunarathne also spoke at the meeting. Year 2019 will be the quality assurance year of higher education in this country, Minister of City Planning, Water Supply and Higher Education Rauff Hakeem said. He made this comment during the assumption of duties for the new year at a meeting held yesterday in the University Grants Commission’s Auditorium. The main issue is the quality assurance in higher education. There are many educational institutes including state universities, post-graduate and affiliated institutes. However, private higher education institutes function on their own way. Some have obtained the approval from the University Grants Commission. But the majority of the institutes function without obtaining proper approval. Thus, in order to resolve this issue the standard of this sector should be ensured by appointing an independent commission.The standard of this vital sector should be ensured at any cost. We will present a Cabinet Paper soon to appoint the said commission, followed by a thorough study.